You can use Cast Off Evil products to help rid her of the habit, along with Healing to help address whatever issues may have made her start & continue smoking, as well as give her body some extra support as she goes through nicotine withdrawal. Working some King Solomon Wisdom and Clarity work will help her make a wise decision about quitting. You could also consider some Crucible of Courage and John the Conqueror (or Victory, if you feel that JtC would be too "masculine" an energy for her) to help her stick with the plan. I would add some crown of success to that as well. Thank you so much, eagerbeaver for bringing up this question. I wanted to ask for spell help with this, but figured maybe I would impede my own progress, because I just can't maintain the willpower to do it.I really want to quit, but I have not been able to motivate myself to do it long enough. I mean, as soon as a stressful moment hits, or even boredom, I start puffing away on the cigs. . . .(and of course a little Mary J). I'm definitely going to try some kind of combo (oils, powders, baths, etc.) of the cast off evil, crown of success, king solomon wisdom, dr gregorio hernandez (for healing my mind and whatever damage I have already done to my body) and maybe eucalyptus, since I already have some of that home. Hopefully, I will have a good testimonial to share when all is said and done. Best of luck getting your friend to quit. . . .
You could use black with the Cast Off Evil, as you are working to banish the issues. Purple with the success and courage work. White or blue with the healing work. I would carve her name into the candle, as well as place a petition paper underneath it. You could also consider making a Cast Off Evil jar or bottle spell, using her picture, any concerns that you can get from her, and the powder and related herbs. Then you can shake it, as well as burn the purple success candles on top. At the same time have a white skull candle with the King Solomon Wisdom/Clarity. You might also experiment with placing a pair of open scissors between the Cast Off Evil jar/bottle, and a pack of her brand cigarettes. Surround the cigs with Banishing powder, and the Cast off Evil jar with Protection powder. Each day, take a little hand-duster and scoot the cigs further away from her jar, sprinkling a bit more Banishing on and around them. Wow. Great advice Devi. I'm trying to quit smoking and this info comes in very handy! I want a spell that i can use on my husband to either make him work harder or be interested in working more hours. I thought about trying to make him into a workaholic, but i think it could be a wear and tear on his body, Also he has a bad habit of smoking and i NEED for him to quit. Is there a spell(s) i can use on both situation? Re: quit smoking and work harder. Cast off evil would be great for getting rid of smoking habit. To get your husband to work harder, I would get down to why he is not working harder. Is he unmotivated? Is he physically not able to? Is he lazy? Not enough opportunity for hours or work? I mean there can be many different reasons. And those reasons would depend on the products to be used. thanks for your respond......it's really none of those things, he goes his regular hours, i just need for him to take more hours, he always seems to find himself in a financial jam, even with a good job. I would work some money stay with me products, along with king solomon wisdom. This will keep the money in his pocket, and help him spend the money he does have wisely. Like I said previously, you may want him to take on more hours but that option may not be available to him. However you can work some steady work, and see if he will be able to get some more hours. he gets the overtime and has a choice to take a second job, but he just dont want to take it. but i will try to do those you suggested. If he does not want to take it, but has the option to, I would either work with any of these products to convince him to do so. Now you can work some king solomon wisdom products to understand that it would be a wise decision to take on the over time. Now if you want to be more forceful you can work with some I dominate my man products, essence of bend over, or compelling products. What spell kit shoud I order? 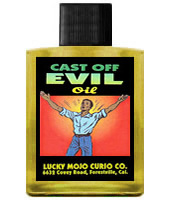 Lucky Mojo Cast off evil or Cast Off Evil Mojo Hand? I just quit smoking using an electric cigarette and I would like to suggest anyone who has a bad habit that it is better to quit. Stefanie, I would suggest that you start with the Cast Off Evil spell kit. It will give you a firm foundation for your goal of quitting. You can always add a mojo. Also, avoid places where people are smoking and find other ways to relieve stress. Congratulations on your desire to be free from smoking cigarettes. Clarity, King Solomon Wisdom or Tranquility oil is also a good investment alongside the Cast Off Evil spell kit as Mama Micki suggested. Anoint your temples with the oil of your choice to reason and calm your way through the inevitable cravings that characterize the first 3 weeks and then the test of resolve somewhere around month 3! Hold fast to your desire to quit and on a mundane level - exercise to keep your mind of the smoke and up your naturally produced happy-endorphins. Since your initial post dates from February of 2011, if you could let us know how your resolutions has been going, it would be great. A Tranquility or Lavender bath may calm your nerves also. I quit smoking using Cast Off Evil products, along with hard work and determination. I did have to re-start the work, and really work at it that second time, but it helped focus me on the task of ending my cigarette addiction. Just to chime in I quit smoking after 10 years by using the cast of evil and getting accupuncture done. I never smoked a cig again after that procedure. Good luck to anyone and everyone who wants to quit, its the best thing you can do for your body. When I was quitting, for the first six months I put aside my cigarette $ under a John the Conqueror root. at the end of every month 1/2 would go under a lodestone dressed to keep money and the other 1/2 would go on an LM order My supplies increased substantially as did my savings account and my resolve. Lichorice is good for this purpose as well. Chew it. Then spit the remains here and there. Dr Johannes wrote: Lichorice is good for this purpose as well. Chew it. Then spit the remains here and there. This works really well especially if you can get licorice roughly the same size of a cigarette. Mimics your need for the oral fixation AND holding a "stick" in your hand. Helps with the craving. Not to forget the controlling nature of Lichorice. Dr Johannes wrote: Not to forget the controlling nature of Lichorice. Goooood point! It's funny how my brain is still learning how to "click" in all of the attributes of the herbs and roots I/we use. The control aspect is a perfectly appropriate magical purpose for the work of controlling ones addictions! Thank you for the added note. I need to make a LOT of changes in my life and am very overwhelmed. First off, I'm in my mid-40s and am determined to quit smoking. In addition I need to be taking my meds consistently (I am ADHD), exercising, working on my art and writing etc. In general I feel like I'm stuck in molasses and need some help with getting and staying motivated to move forward. I'd love advice on a product(s) that will do this --road opener seems obvious enough but what else? Thanks! Cast Off Evil is used to get rid of bad habits and addictions. I used Cast Off Evil Oil on 4" candles every day for a week to start myself getting into a routine of remembering (daily) just what I wanted to do and why i wanted to quit. It worked very well. 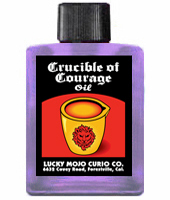 Combining this with Crucible of Courage, as MaryBee suggested, would be a very good idea! Great suggestions and I think that Blessed Matt Talbott might be a good spirit to work with. I smoked 25 years and quit 7 years ago using a mild sedative for the first 72 hrs while the nicotine receptors created by my brain died off from being deprived. After 72 hours it is habit not physical withdrawal. Why quit was a good resource for me. You have no idea how beautiful oils, baths, herbs will smell once your olfactories and taste buds are actually working. Best of luck you will make it if you avoid nicotine altogether otherwise it is a long torturous process. I had no idea how addictive nicodemon was but once free I find something amazing every day that I could not have appreciated had I still had my senses dulled by smoking. Cast off Evil, Crucible of Courage and online support at a cessation board will take you on the first steps. Wanting to quit is everything. If you want it you will make it happen. Best wishes and may you kick the nicotine beast. 1) Can Cast Off Evil oil be used in a bath vs the crystals? I'm going to buy both depending, as I plan to anoint myself with the oil. 2) A) If so, how much oil should be used per bath if one has a regular sized tub? -- a capfull? B) How many ounces are in one bottle? I'm trying to get an idea of how much of each I need to order while figuring out how to make it last as long as possible while I learn if magical bathing is just as useful one to two times a week as if taken everyday. The goal, like above, is to quit smoking. So as confirmed in a different thread, eucalyptus will help as well -- I will also order that. 1. Yes dress the body with the oil. 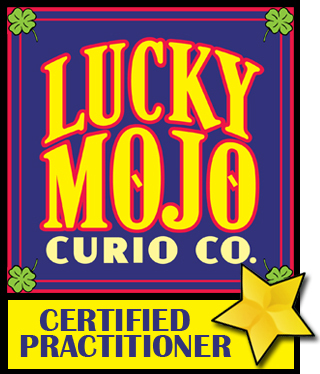 Or make a bath with lucky mojo herbs known to break addictions, strain the herbs then add some of the oil to the mix and take the bath. 2. Take a pot and brew a bath of herbal teas after the tea is made take the herbs out then add several drops of oil to the mix. 3. I use half a bag per bath from the bath crystals, I get two baths out of one bag. I dont see how money stay with me fits because its an addiction to tobacco and most people will do whatever they can to get an addiction item. I would rather see a mix that helps you like protection from bad habits. 4. You may find bathing daily helpful while you work through and addiction. I deleted your post in the General Baths topic as it was a duplicate of this one. In future, please do not cross-post like this as it is against our rules and makes the forum very difficult to moderate. It will also result in a board warning, but I have not given you one this time. Please post your question only once. Bath crystals are best for baths as they dissolve in the water, making your entire bath a spiritual cleansing. Oils are best suited for anointing yourself or dressing items like candles. 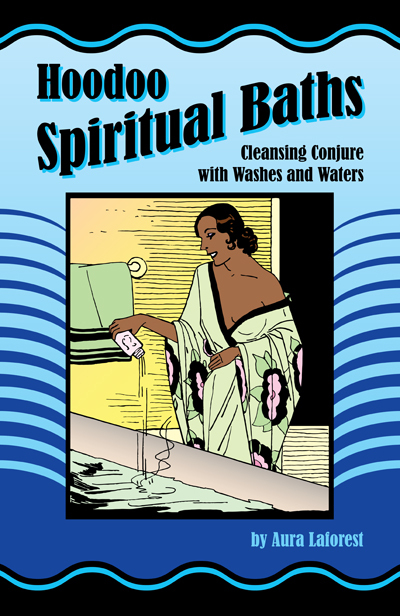 You could add oil to spiritual baths out of necessity, but oil does not mix with water and the crystals are formulated for exactly this purpose. You would also have the added benefit of adding a pinch or two to the final rinse cycle when doing your laundry, to keep that energy working for you via the clothes you wear. This would be a nice addition to your work given that you are trying to free yourself of a difficult addiction like tobacco. Thank you JayDee and thank you Miss Athena. About the duplicate post. I created a reply to a thread in Baths and Crystals and here; in fact, I believe it may have been somewhere else -- I did this from my phone. From my phone, I deleted the same question from one thread and moved it, I think* to the one about Baths. Part of the form to delete a comment asked why I wanted to delete it, and that the admins would be able to read why I wanted to delete whatever comment I'd typed. In that area, I responded by saying that I'd found a better place to put it (something like that). Thank you so much for not giving the warning Miss Athena as this was genuinely a technological mix up, and perhaps user error. But I do recall typing that I'd found a better place for the comment in a different thread as the reason for its deletion -- it must not have held. Miss Athena, that is an excellent book! We don't delete posts on the forum, so don't worry if you still see it here. I understand your personal logic in combining money with quitting cigarettes, but doing so will just over-complicate your spell. Stick to your work in quitting smoking, and focus all of your efforts on that singular goal and you will stand a better chance of success.